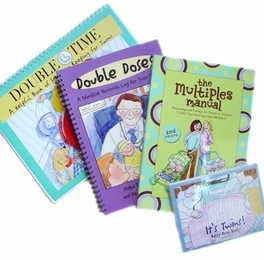 Save 20% on some of our best selling books when you purchase the Twins Tips & More Book Bundle! 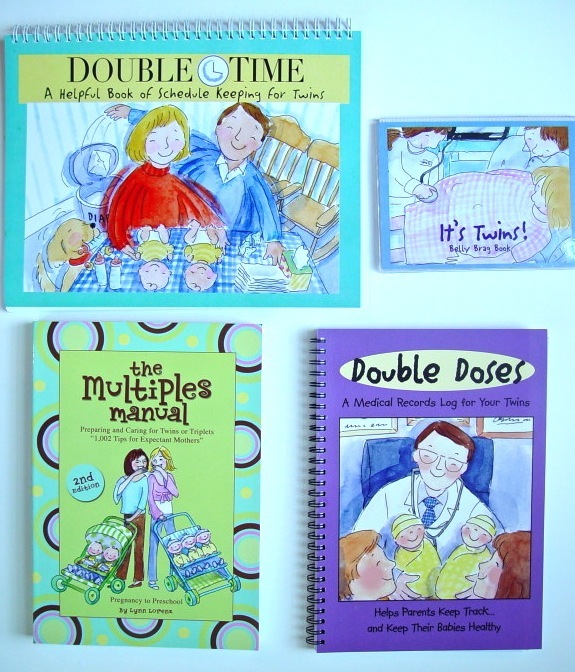 These books will help a busy family with twins stay scheduled, organized and sane with helpful tips and simple solutions! THE MULTIPLES MANUAL is sure to help - it's guaranteed to simplify your life, save you time, and even save you money! Full of information on what every mother should know before, during and after the birth of her multiples. Keep track of feedings, diapering, medications, naps and other important information with these easy-to-use, daily schedules designed just for twins! It's often difficult to remember all the details of your child's medical care, especially when you have multiples! By using this easy-to-use diary, parents will be able to keep everything medical-related in one place and organized. This one-of-a-kind "Belly" Brag Book gives an expectant mother of twins a safe place to keep her growing belly and sonogram pictures!